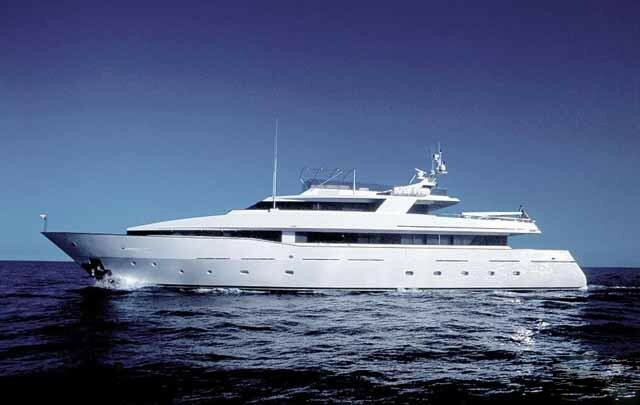 M/Y TALIA 7 is a 42,00m (137' 9") Benetti/Mondomarine built motor yacht, launched in 1991. 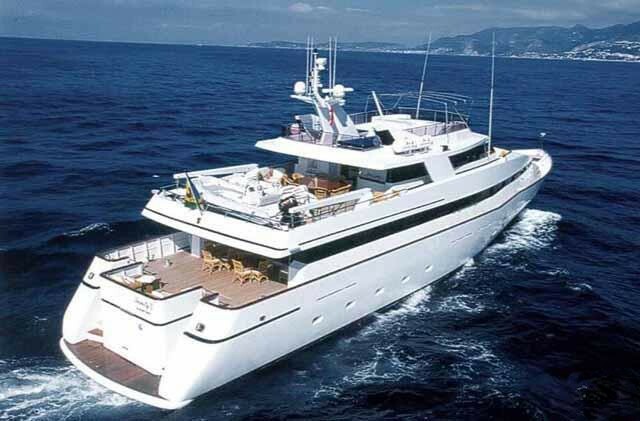 She was fully rebuilt and refitted in 2001 by the original Genovese builders Mondomarine to the highest standards and enjoyed another smaller refit in 2006. TRINITY II uses semi-displacement propulsion to cruise at 16 knots and has a top speed of 17 knots. 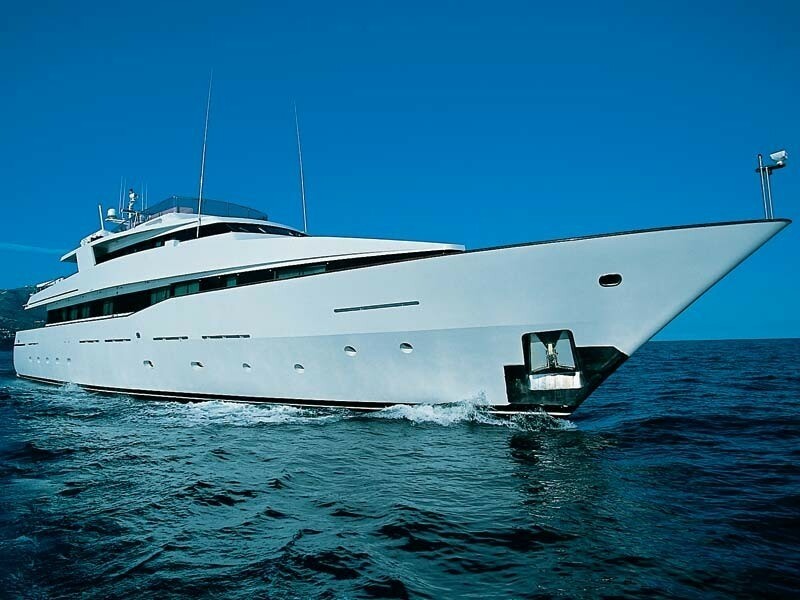 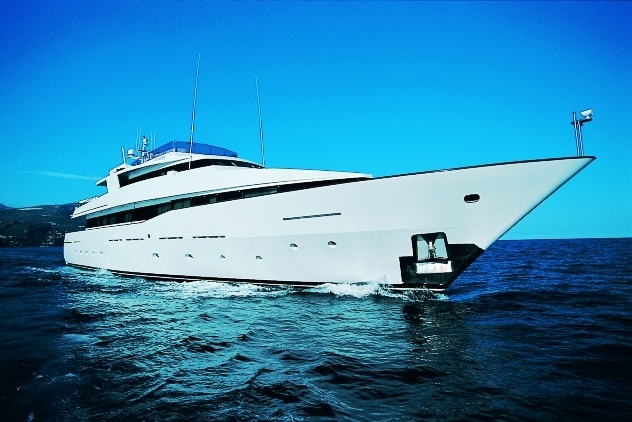 She offers luxury accommodation for 10-12 guests in 6 cabins and a professional crew of 7. 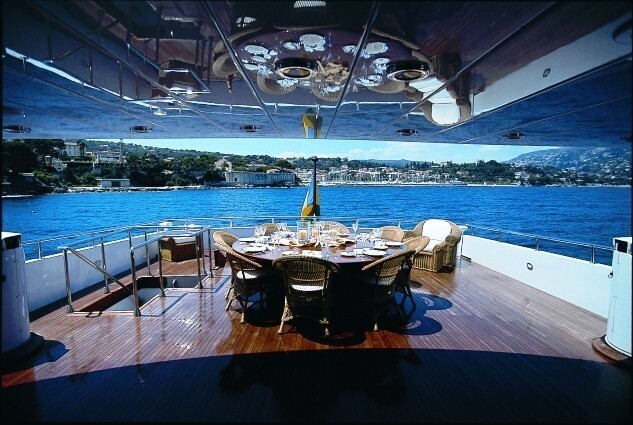 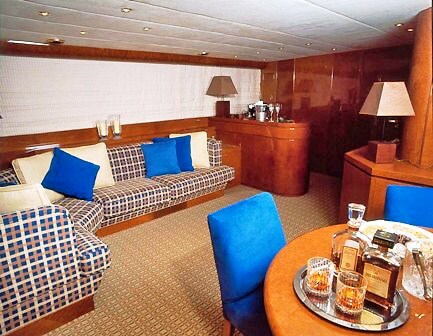 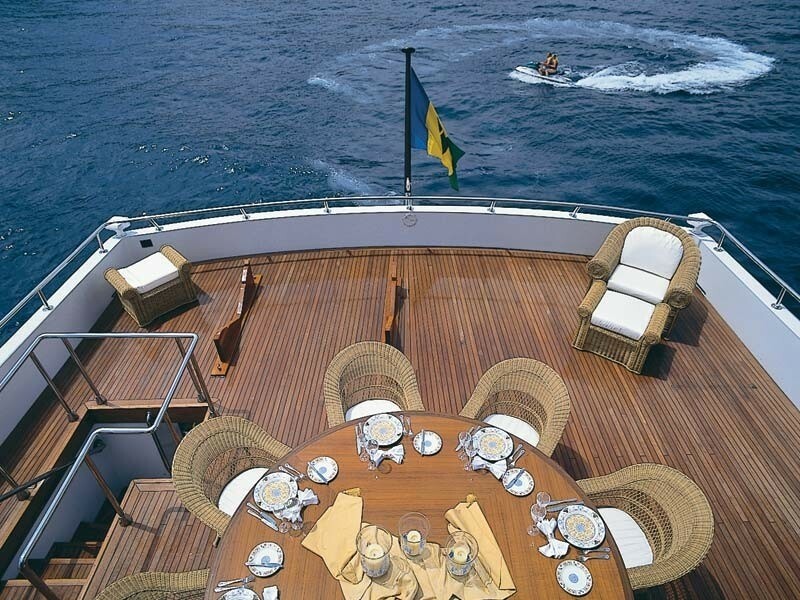 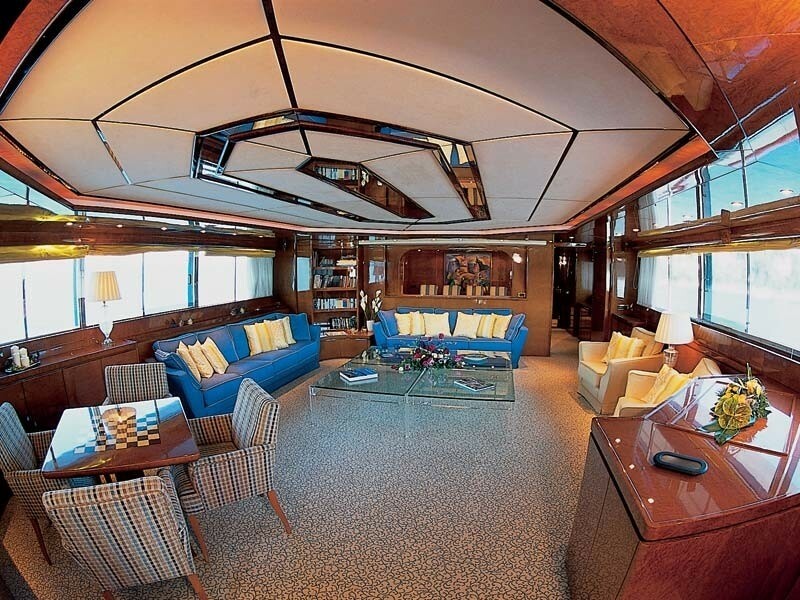 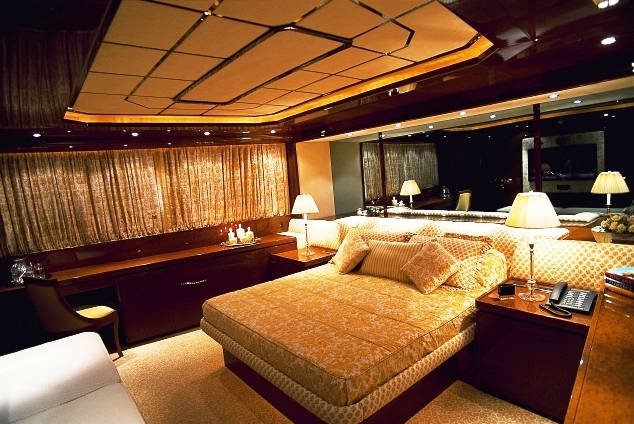 The main salon is the full width of the yacht and is fully equipped with all the high tech entertaining systems. 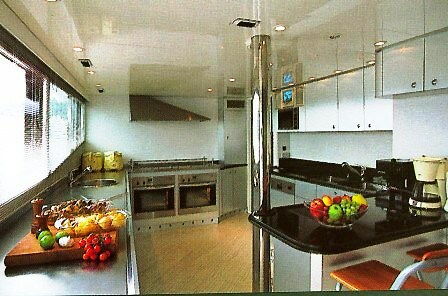 She has a Satellite TV, DVD, Video, and Bose audio system that is supported by a library of videotapes and CDs. 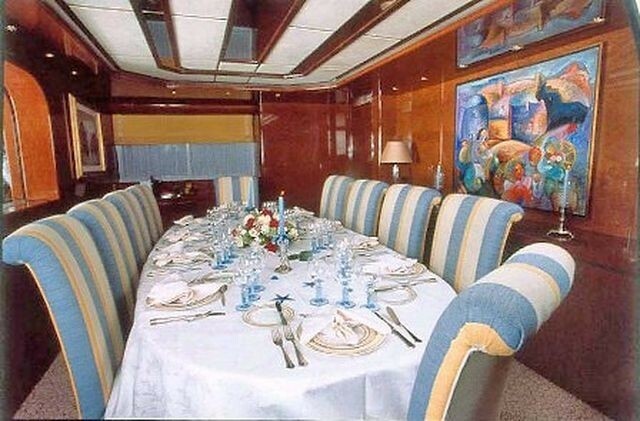 Dining is possible in the formal dining room, on the aft deck alfresco or the upper deck outside. 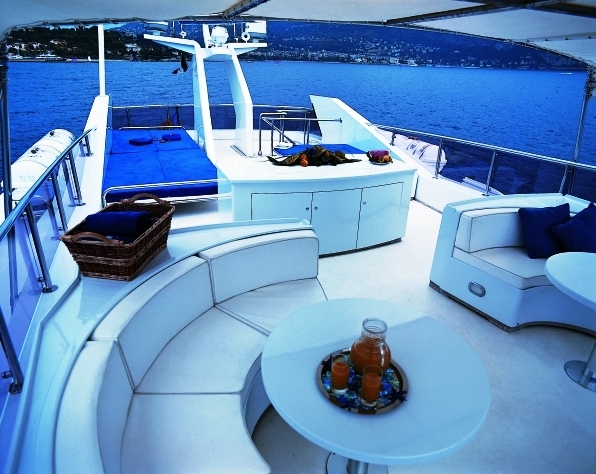 The upper deck lounge has doors which open out to the upper deck offering indoor/outdoor living. 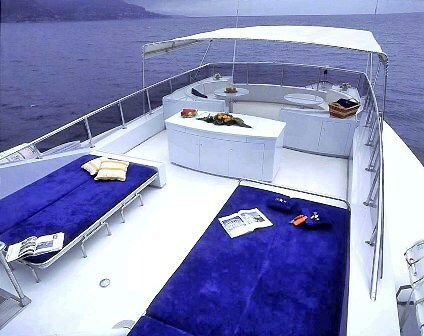 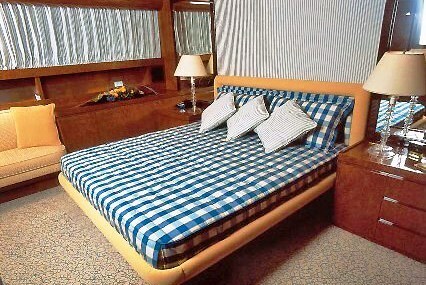 The sundeck is fabulous for sunning on the double sun mattresses or relaxing on the bimini covered white leather sofas. 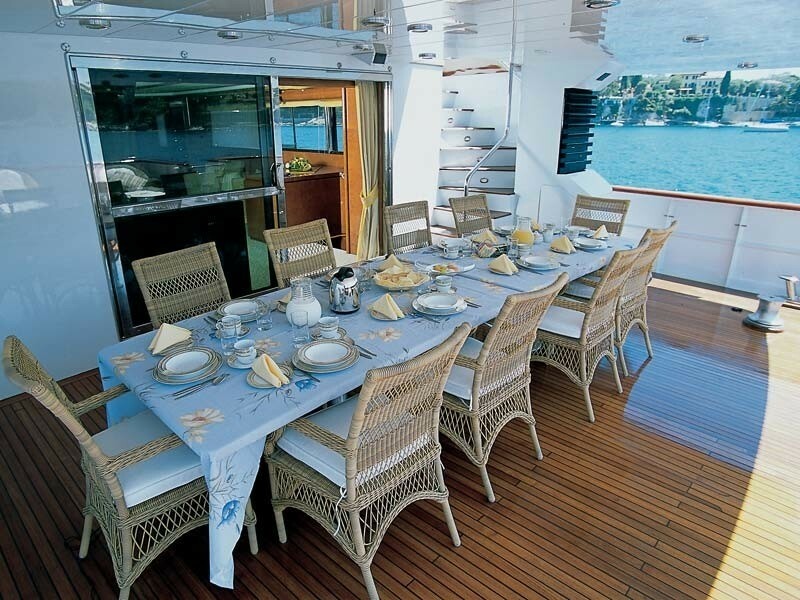 This is a great place for casual BBQ’s. 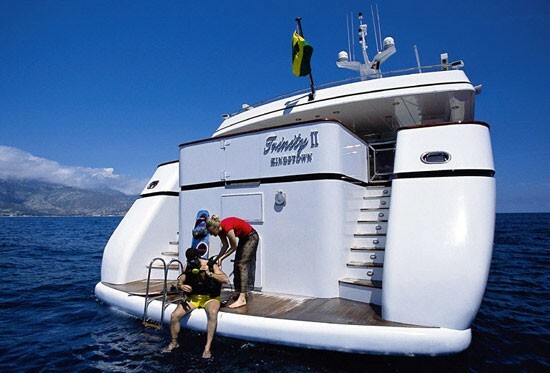 M/Y ALIA 7 has a great selection of water sports toys you can enjoy from the aft swim platform or one of the tenders. 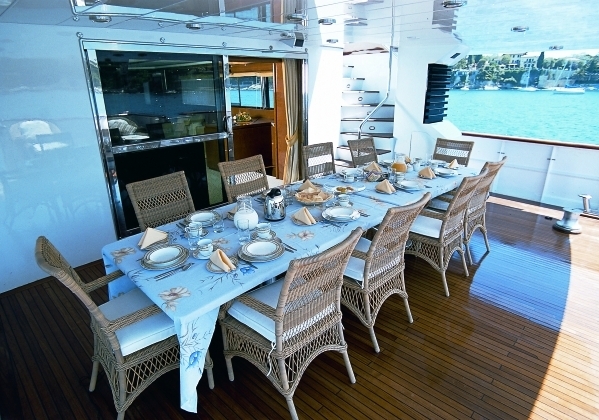 She has a crew of 7 ready to welcome you on board to enjoy a magical charter experience. 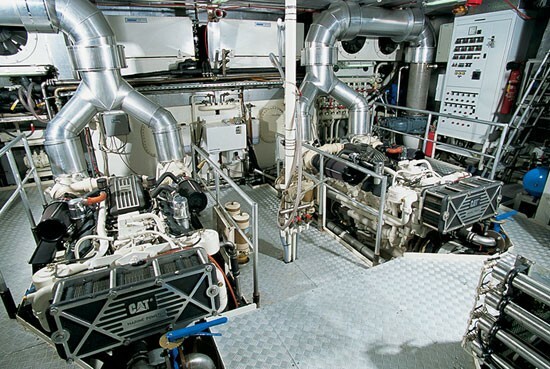 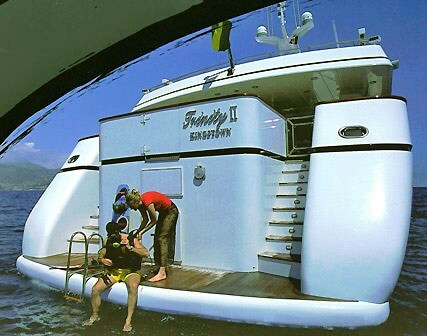 This motor yacht is powered by a pair of CAT engines, which allows a top speed of 17 knots and a cruising speed of 16 knots. 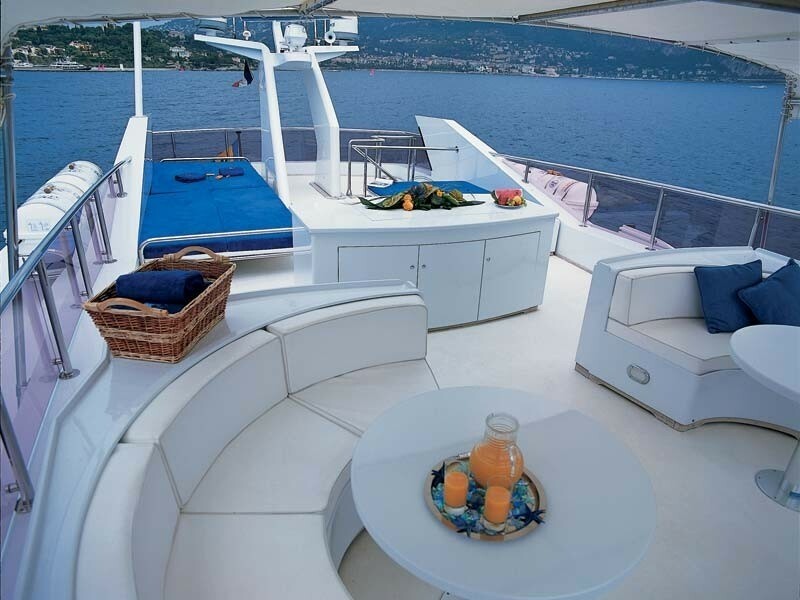 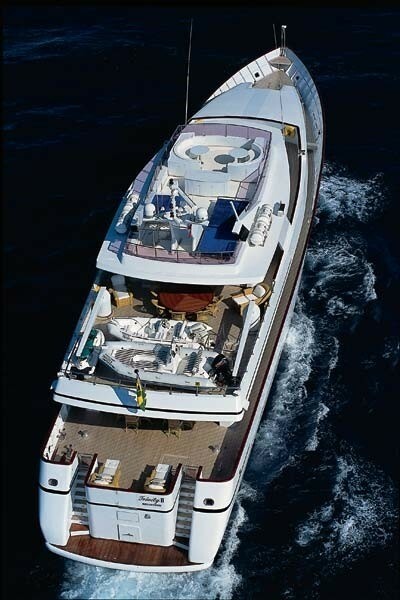 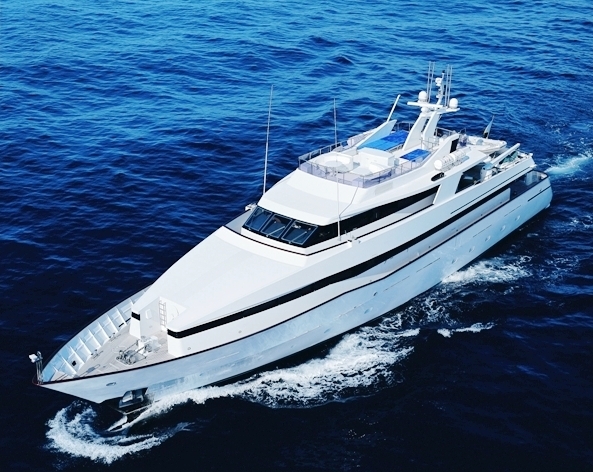 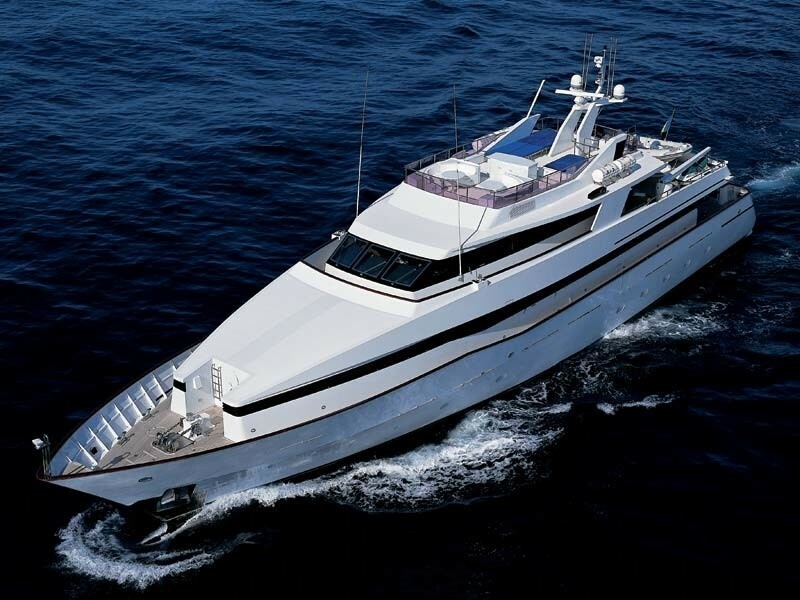 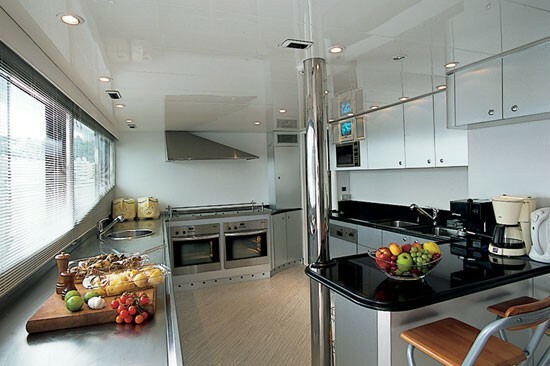 ALIA 7 can accommodate up to 12 guests in 6 cabins. 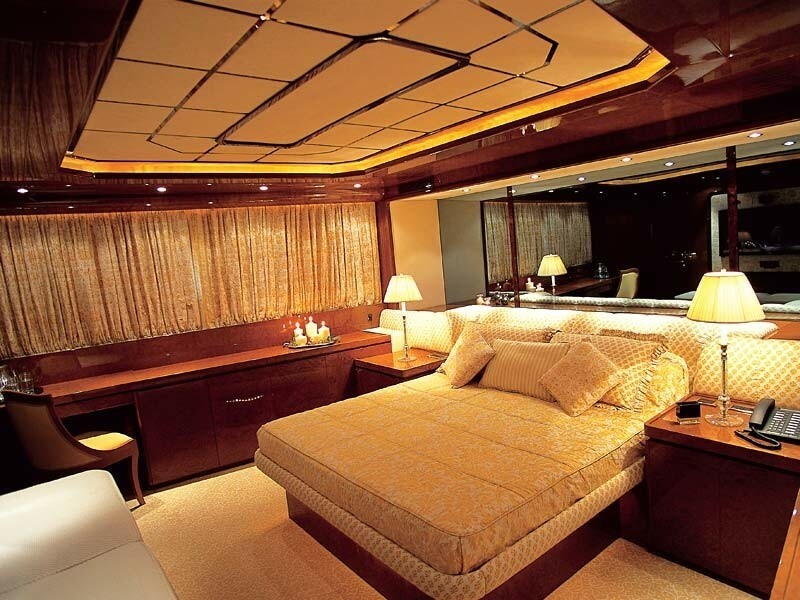 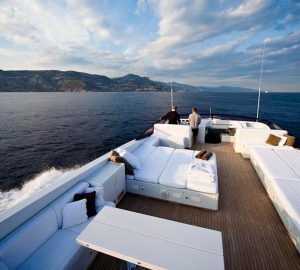 Her owner’s suite on the main deck is full beam of the yacht with an adjoining office and separate dressing room as well as a DVD with Plasma flat screen display, a Bose surround sound audio system, and a Carrera marble bathroom with a Spa Pool and shower. 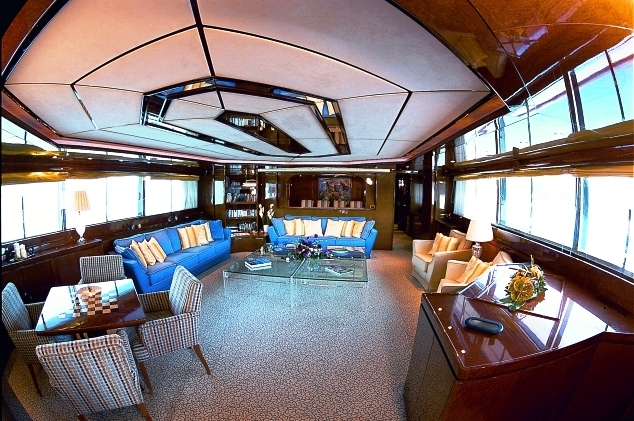 The VIP suite with adjoining office / playroom on the lower deck has a king sized bed, a walk-in dressing room and sofa bed which can accommodate 2 children plus a full entertainment center and an en suite Carrera marble bathroom with a Spa Pool. 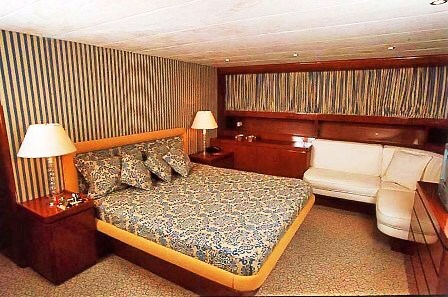 She has a further Double and 3 twin cabins. 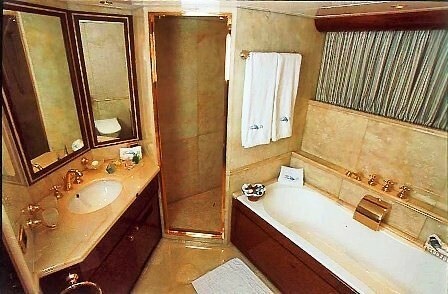 All cabins with en suite facilities. 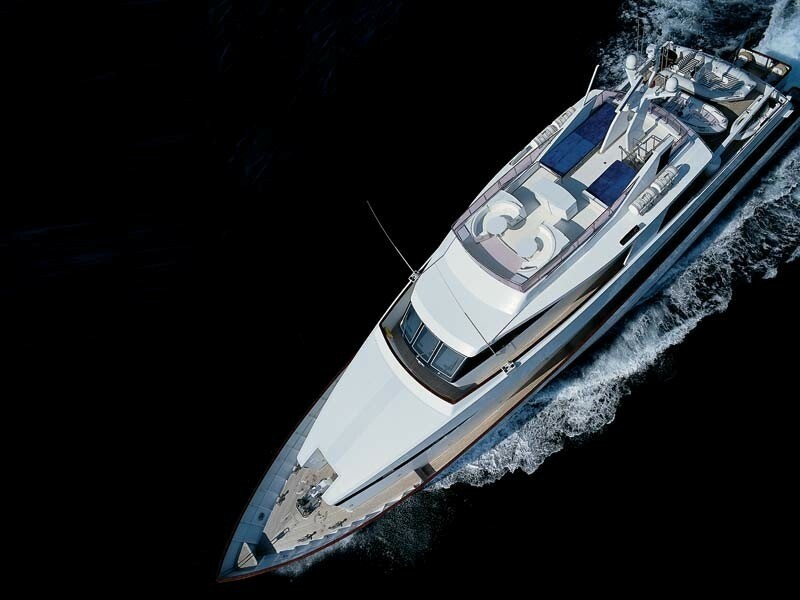 ALIA 7 has the following Tenders and Toys: A 5.50m ZODIAC Tender with EVENDURE x 90hp outboard, a 3.50m ZODIAC Tender with YAMAHA x 40hp outboard, a Seadoo 3-seater Wave runner 750cc, Water skis, a Windsurfer, 3 Tubes, a 1 Banana, Scuba Gear for 3 pax with compressor, Fishing Gear, Wakeboards and Snorkelling Equipment for 10 people. 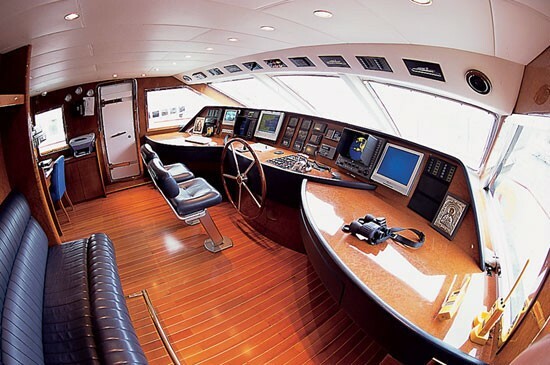 Communications onboard include Inmarsat C, Inmarsat Mini M with telephone/fax, Mobile phone, VHF, Full GMDSS and a Laptop/internet. 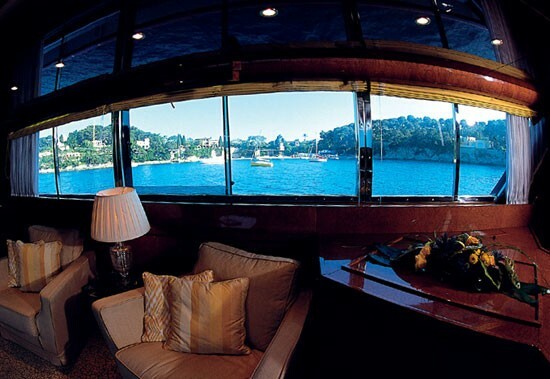 Audio Visual Equipment and Deck Facilities include a Flat 42’ TV, DVD, VCR, and Surround Sound system in the owners suite, a 20’ TV, DVD, VCR, and HiFi in the VIP Suite, a 20’ TV, DVD, CD, VCR, and HiFi in the double cabin, a Flat Screen 14’ TV, DVD, and VCR in the twin cabins: There is also a Sat 37’ TV, DVD, VCR, surround sound system, Playstation, and Nintendo 64 in the Main Saloon, and a Sat 28’ TV with surround sound system in Upper Saloon.